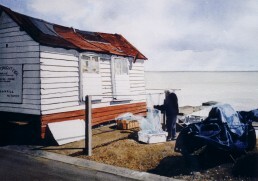 Fisherman's hut.Felixstowe seafront. 1/2. 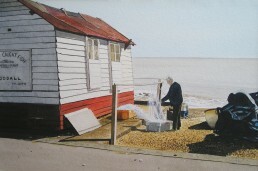 14" x 11"
Fisherman's hut.Felixstowe seafront. 2/2. 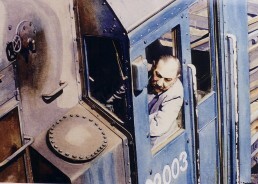 14" x 11"
Engine driver at Clapham Junction. 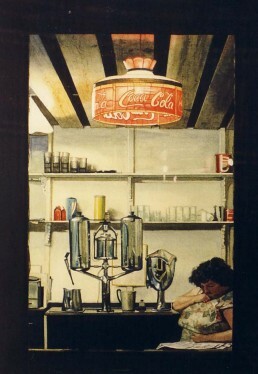 14" x 11"
Cafe window. Soho. 14" x 12"